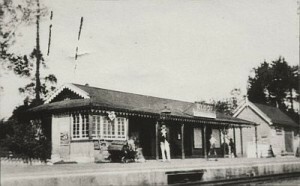 The Kloof Railway Station building was built in 1912 and operated as a railway station until 1983 when the railway line was de-commissioned.In 1987 the building was converted into the Stoker’s Arms pub and restaurant and has operated as such since then. There have been 4 different owners since the opening and the current owners, Tony Dickinson and Guy Stone have owned the business since 2007. Over the years we have added on the awning section, the outside bar, the playground, the railway coach and new paved areas. We’re constantly looking at ways to improve your experience here and hope to continue serving you our "fine fare" for many years to come! Cheers! 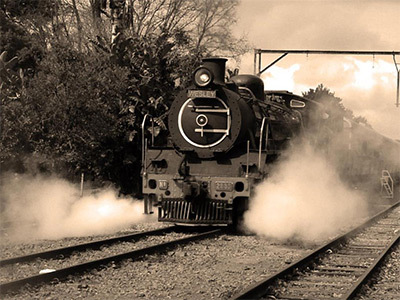 "An exciting event in their life on Richmond Farm was the arrival of the railway line, which opened through Krantz Kloof, as the area was known to the transport riders, by March 1879, and was officially opened to Pietermaritzburg on 1 December 1880. The nearest railway stations, at that stage, were at Pine Town and Gillitts. Owing to the steepness of the gradient (1:30) between Pinetown and Bothas Hill, the old Beyer & Peacock steam engines needed to take on extra water and John Coote Field ("Old Jack” as he was known affectionately) negotiated with the Natal Government Railway to supply water from a stream at Waterfall, halfway up Field’s Hill, in exchange for free passage for him and his family. Family legend has it that on one occasion Old Jack summoned the train to stop and the driver failed to do so. He immediately cut the water pipes to the tanks next to the line, thus forcing the locomotives to a halt. Only the intervention of the General Manager, David Hunter (later Sir David Hunter), who arrived in his personal carriage to negotiate with Old Jack, resolved the problem. 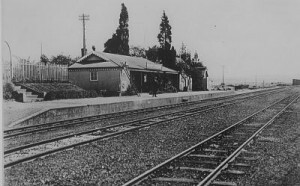 It was agreed, henceforth, that all trains would stop at Field’s Hill halt, (next to the present Field’s Hill Garage) which was about 300 metres from the farm homestead, so that he and his family could alight. Despite an extensive search, no documentary proof of this story has yet been found. On 1 February 1896 John Coote Field died and in his will, he left the farm to their eleven surviving children, and one grandchild, with his wife having the life use. Elizabeth Catrina Field died on 27 September 1901, and the twelve subdivisions were in due course transferred to the beneficiaries, most of the sons inheriting 561 acres and the daughters 400 acres. Some members of the family immediately began subdividing their inheritances, and by 1903 the village of Krantz Kloof was born. Esmé Stuart in her book "I remember…” writes that as a child of three and a half years in late 1904, she remembers the arrival of ox-wagons at Krantzkloof with their furniture from Durban.